Between 50 and 70 stallholders provide a varied range of locall goods including wine, crafts, fresh food, plants, garden art and clothing. Local Pyrenees producers and growers. Local community groups are encouraged to run the BBQ each month to raise funds for their organisation. The day starts with a bacon and egg breakfast and by lunchtime the smell of sausages and onions is hard to resist ! 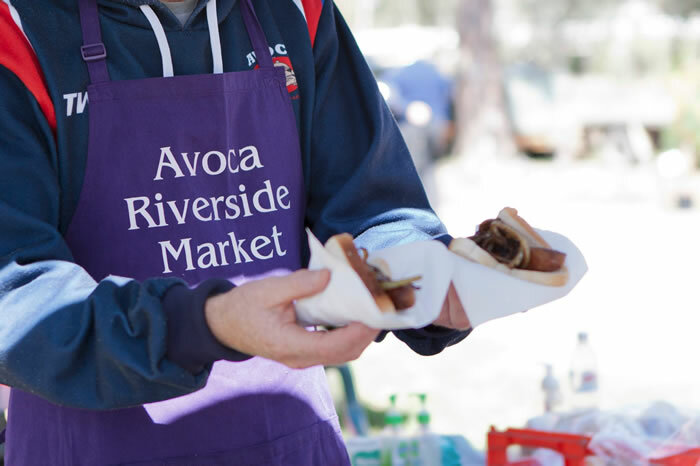 On the 4th Sunday of every month (all year round) the Avoca Riverside Market is held along the banks of the Avoca River and in Cambridge St.
Avoca is 183klm from Melbourne via the M8 and Sunraysia Highway through Ballarat.